At Ecoponics (terrarium workshop singapore), we regularly organize terrarium making workshops for both individuals and groups. In this article we will touch on 5 popular terrarium plants. Terrariums are self-sustaining miniature bottles enclosed in a bottle. In addition to having low levels of maintenance, depending on whether it is open or closed, terrariums need not be opened for frequent airing and watering. There are 2 main types of terrariums, open and closed. Apart from having differing maintenance levels, these terrariums also house different types of plant variety. 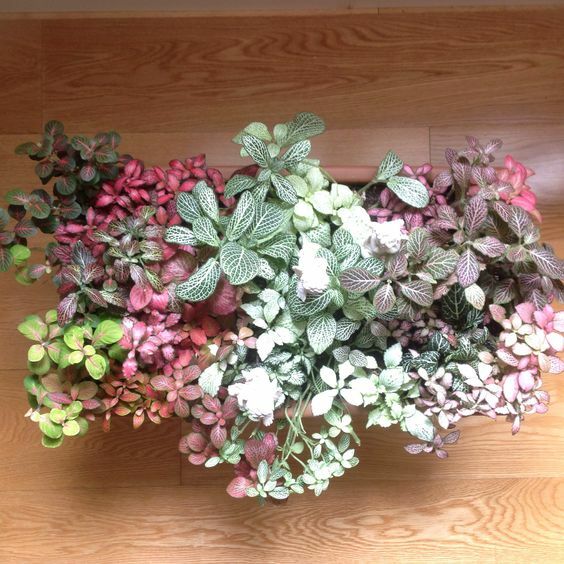 Some plant varieties thrive in open terrariums while others thrive well in closed terrariums. Fittonias are plants native to south america. It is a flowering plant belonging to the family Acanthaceae. They are plants indigenous to South American tropical rainforests. 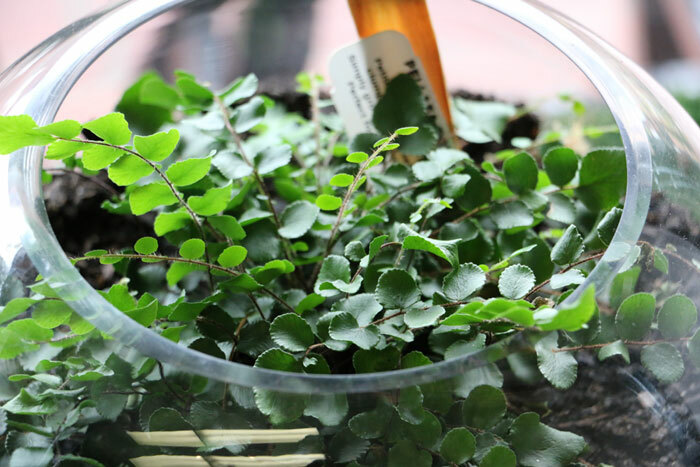 Because fittonias do grow but do so gradually to a maximum height of 10-15cm tall, they are perfect for the limited confines of a terrarium bottle. Fittonias are best grown in a moist environment. They are very sensitive to direct sunlight and hence thrive in areas with indirect sunlight and temperatures that exceed 13 degrees celsius. The button fern (scientific name: Pellaea rotundifolia), is a plant species that is native to New Zealand. It is commonly found in forests and scrubs. Because it is an evergreen fern guised in beautiful, round leathery fronds, it has became a popular houseplant. The button fern requries a well-drained and acidic soil to thrive and does not do well in humid conditions. Cacti are plants indigenous to the hot and dry climate of deserts. They have adapted to such climate by developing needle like leaves that minimise water loss. Thus they need not be watered often – in fact cacti does not survive well in soil that is constantly moist. 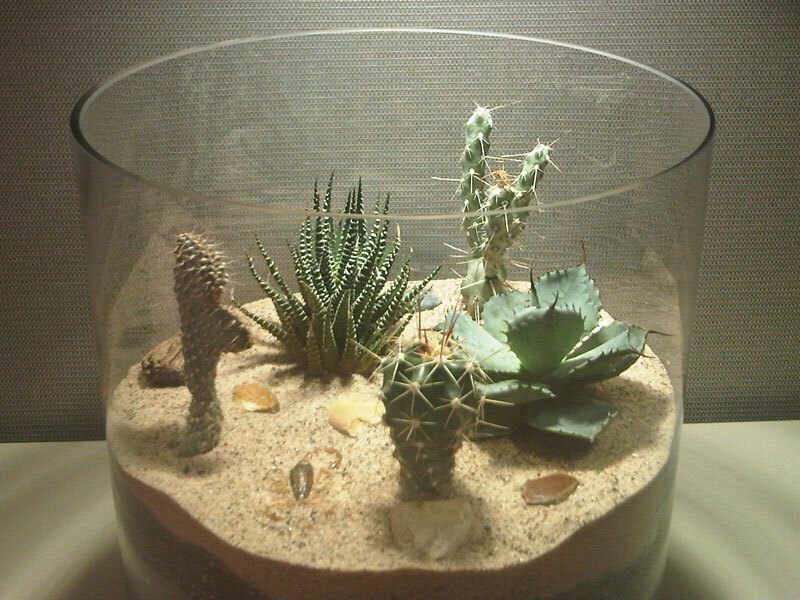 Cacti thrives well in both closed and open terrariums. Succulents are plants that originate from arid climates and soil conditions. They have developed parts that are thickened and fleshy. This helps with retaining water in arid climates. The word “succulent” means sap or equivalently, juice. It results from the latin word called sucus. Succulents may store water in its stems, leaves or roots. Because succulents can survive on scarce water sources like dew and mist, they can thrive in areas where water is scarce. Moss are plants that are indigenous to tropical and subtropical climates. Hence they do not thrive well in dry environment – i.e. survive well in wet and amply moist areas.